On the 7th day of Winter, The Primary Peach is excited to share some awesome tech tips with you! The first website we'd love to share is Quizizz. This is similar to Kahoot (which is awesome and my students love) but like anything....if you use it too much, it will stop being so exciting to them. The thing I love about Quizziz is that you can assign it for homework and the "competition" can remain open for as many days as you set. You can also get reports on how each student did on the quiz. The next website is Buncee.....this is the easiest online presentation tool EVER. Kids can easily create their own presentations by clicking and dragging. It has a ton of free backgrounds and pictures, but if you do upgrade they have premium features. It is amazing! Have you visited Greg Tang Math lately? They have worked really hard and upgraded their games. My students' favorite is Kakooma, it is super fun and challenging and really helps with math fact fluency. 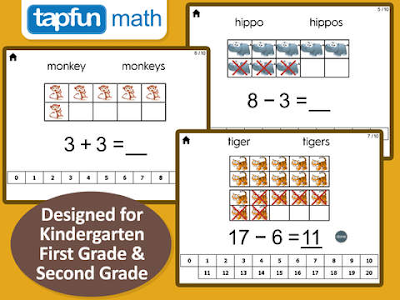 Greg Tang's website has wealth of math resources including several other math games. Try it out! Check out these apps that you can use for grades K-5! The Thinking Blocks Multiplication app is ideal for intermediate grades. 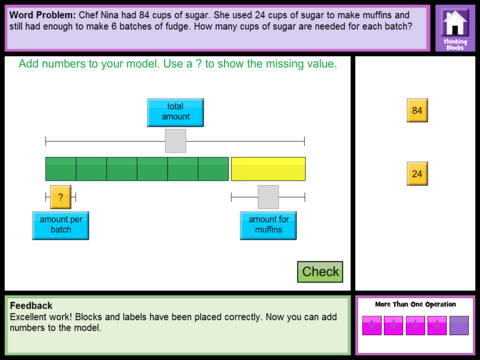 It helps students to represent multiplication and division word problems using models. Teachers are also able to leave feedback for students suggesting next steps for them. 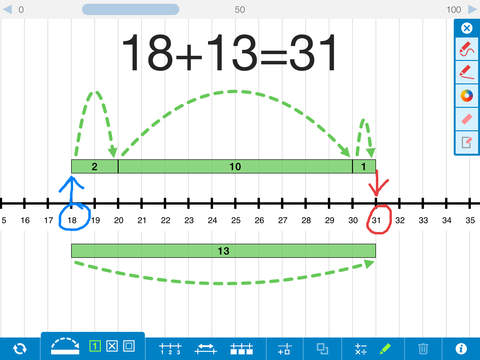 The Number Line app can be used in a variety of ways with different grade levels. 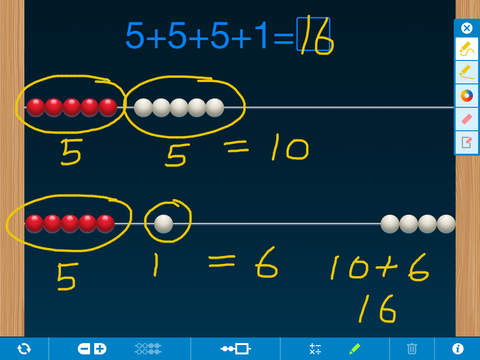 Students can count and compare numbers as well as multiply and divide. The number line can be labeled using any whole number multiples from 1 to 100. You can also create and open number line without the tick marks. I love the Number Rack app! We use it to decompose numbers and represent equations. You can add up to 10 rows and use the "hide" option to create your own subtraction problems. My kindergarten students take screenshots of their work and upload it to their Seesaw journal. 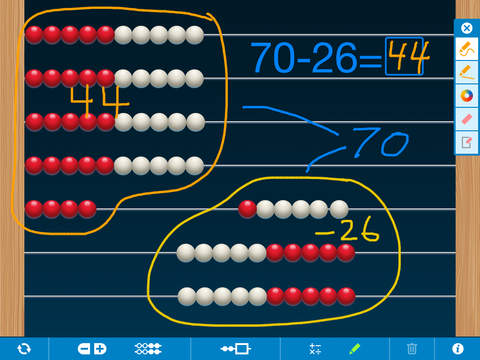 The Ten Frames app is primarily for younger students (K-5) and allows them to solve addition and subtraction problems up to 20. The numbers at the bottom are used to help students to build the equation that matches the ten frame.